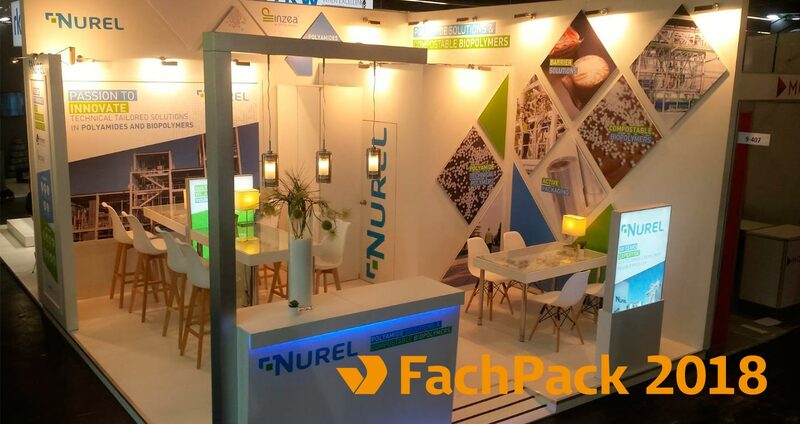 Consolidating its presence in the sector, NUREL has participated for its first time as an exhibitor at FACHPACK, the European fair of the packaging sector that groups processes, materials and technology to introduce its new specialties for packaging development. NUREL Engineering Polymers division has presented Promyde polyamide range of products for packaging and film production, highlighting our new developments for monolayer packaging, suitable for sealing, barrier solutions and proposals for active packaging. Seeking a sustainable development, NUREL Biopolymers presented an alternative to conventional plastics through our biobased, biodegradable and compostable INZEA biopolymers, which have similar performance to conventional plastics and are ready to offer compostable solutions for multilayer packaging. We thank all the attendees for their visit and we hope to see you again soon.